Animals are a wonderful part of life. Hanging out with them, caring for them and even watching them can lower our blood pressure and put us in better moods. But there are more to our animal friends than meets the eye. Take, for example, these 20 awesome facts about our furry friends. Not only are these things not well known, but they’re also pretty awesome. 1. 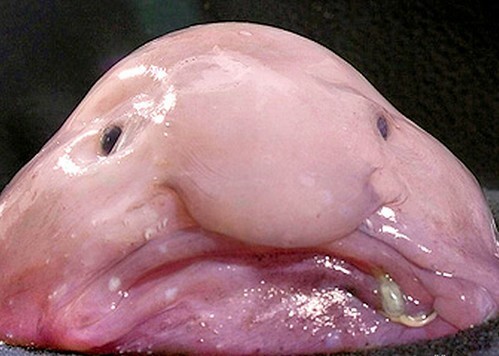 The blobfish looks blobby out of the water because it has evolved to withstand the high pressure on the seabed where it lives. Down there, they get compressed (pictured on the right), which actually looks quite average and not-blobby. 2. Jaguars are the only big cats that rarely kill large prey through a traditional throat-bite and suffocation, like lions and tigers, and other predators like wolves, do. Instead, they bite directly through the skull and pierce the brain. 3. Lyrebirds can imitate virtually every sound they come into contact with: Be it the ‘laughing’ call of the Kookaburra, the intriguing sound of a camera shutter, or the sound of the very chainsaws that destroy their home. 4. When attacked by a horde of ants, a group of termites forms a circle with their heads facing outward, in effect collectively protecting their soft bodies with their rock hard heads. Letting the ants surround them completely, they stand their ground as brothers and sisters and fight for dear survival. 5. Alpacas are often placed in fields of sheep, as the alpaca will protect the sheep from foxes, dogs, birds, etc. An alpaca can protect anywhere from 10-100 sheep, depending on the situation. An alpaca can also lead the sheep to safety in the event of a bushfire.